The First Four started in 2011 when the NCAA college basketball body decided to add eight more teams to the NCAA tournament. This new “opening round” is played in Dayton, Ohio. The eight lowest seeds are matched up in four games where the winners advance as the four #16 seeds (lowest seeds) in the larger tournament field. Click read more to learn more about this play-in stage and to download our printable First Four brackets. What is the First Four? The First Four is the first round of the NCAA tournament. Introduced in 2011, the First Four are four play-in games played between the eight lowest seeds in the March Madness tournament field. This year the play-in games will again be held in Dayton, Ohio and the date of the tournaments are Tuesday, March 19 and Wednesday 20, 2019 where the four winners of each of the matches move into the field the 60 higher-seeds awaiting the completion of that initial bracket stage. Those winners are seeded as the lowest seeds in each of the four tournament quadrants (regions) and get the unenviable task of playing that region’s #1 seeded team on Friday of the same week! That has to be both intense, stressful and exciting at the same time. We know there are some rabid March Madness bracket-addicted fans out there, so we know you’re here to print out your First Four brackets. Interbasket is ready. Below you’ll find our blank First Four bracket. 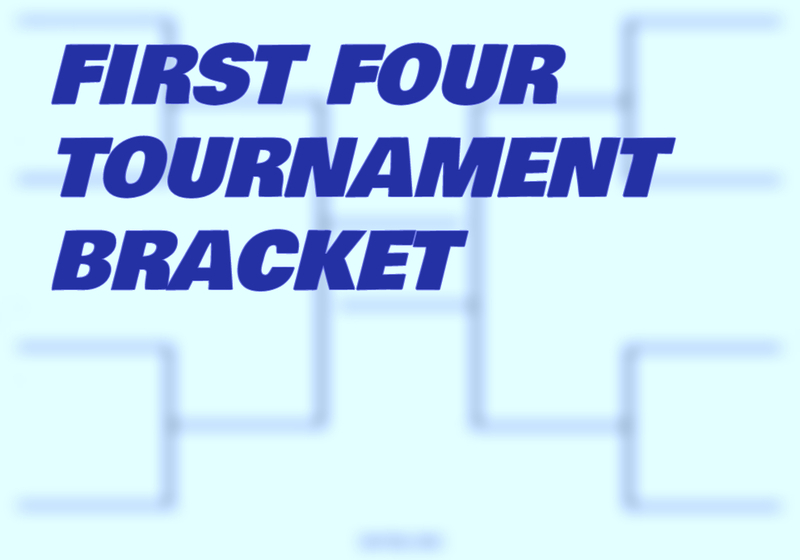 The bracket for the First Four is no different than the one you’ll find for the Elite Eight. Both brackets have eight teams playing four games,; the difference being that the First Four are the play-in games to get into the larger field, while the Elite Eight are the eight remaining teams in the tournament. To show you how comprehensive we are, we also have a blank 8-team single-elimination bracket which is another version of the same “four game” bracket format. 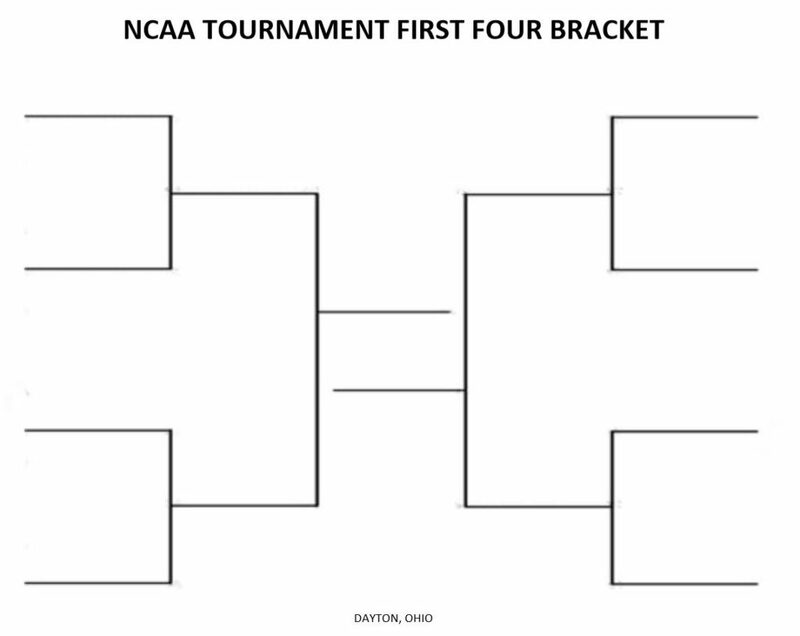 The NCAA Tournament now officially kicks off with the First Four. As mentioned above, the games will be played out on March 19th and March 20th, 2019 featuring the overall lowest four ranked at-large bids against the lowest four teams receiving automatic bids to the tournament. All of the First Four games serve as “Play In” games for the first round of the NCAA Tournament.